Seka continues to work with the planetary blessings, and offers yet another Free Worldwide Distant Healing session for the third month running in 2019. These are auspicious times to relax and tune into the planet’s natural healing energy that Seka wants everyone to absorb and experience. All you have to do is be open, aware and at ease! By the word -RELAX- Seka asks you to let go of all your problems/ illnesses/ daily stresses, and be open to receive the healing energy. 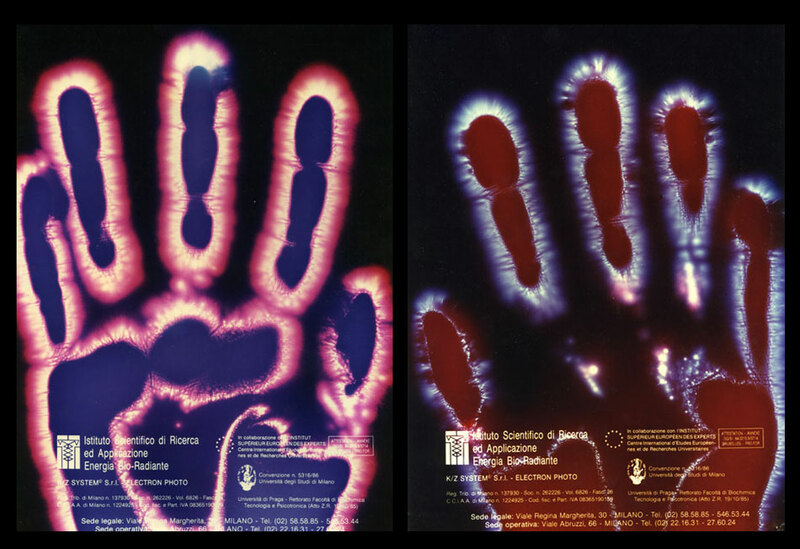 To help connect with Seka, and for Seka to help focus her energy on you, you should print off the electron photographs of Sekas left and right hand and place your hands upon them throughout the 30 minute distance healing period. All Seka Nikolic asks in return is for you to assess any changes you may experience either at the time of the session or in the days following, and kindly email this feedback to seka@sekanikolic.com. You could be part of the worlds biggest distance healing experience ever! This form of distance healing requires YOU to ‘tune in’ rather than letting Seka do all the work. So it is a good idea to at least try to begin ‘awake’! Must I use the electron ‘Hand’ print-outs? Yes. The hands are a huge part of Seka’s energy and she will be channelling her energy out through them, to you. On the basis of the information returned from previous events most people felt an “enlightening”, “relaxing”, “warming”, “peaceful”, “bubbling”, “pulsating”, “intense”, “electrifying”, “magnetising” “exhausting”, “itchy”, ‘drowsy”, “lifting”, and for me personally, an exhilarating experience. People have reported a range of different, unique and individual sensations at the time of the experience. Whether profound or subtle, the experiences from current feedback show that predominantly the experience had a positive and healing effect. So mission accomplished! At present, initial feedback indicates that regardless of location felt similar effects in countries such as the USA, New Zealand, Australia, South Africa, Brazil, Argentina, Hong Kong, Russia, France and the UK.